Baby Care Expert Rachel Waddilove has created some thoughtful advice when feeding your new baby.
. Before you begin to feed, wash your hands and have everything to hand that you'll need for feed time. Rachel provides a list of things to remember when breastfeeding. 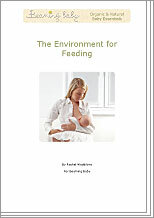 A simple, practical guide for you and your baby when feeding.